This is where I want to be more than anywhere at the moment. It has been on my ‘must visit’ list for 10 years and I will cross it off one day. I am picturing myself in that chair above right now. They say visualizations work, here’s hoping. 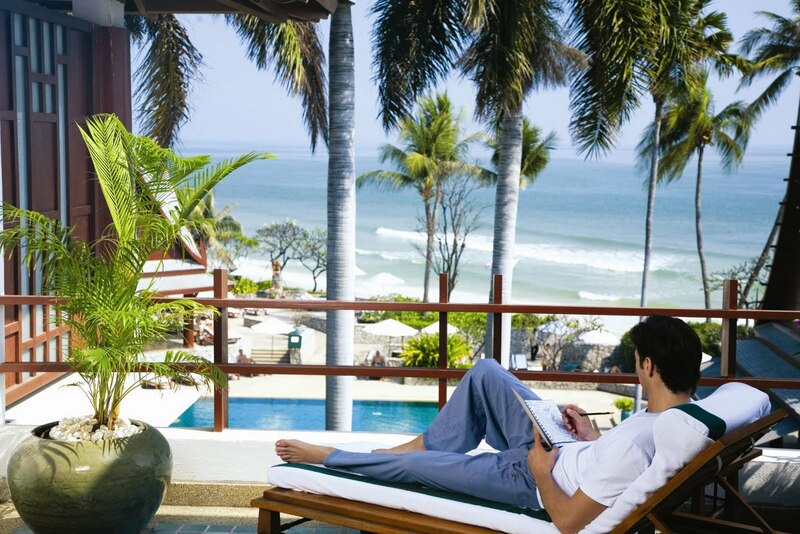 A secluded world of beauty and serenity, Chiva-Som is the “Haven of Life.” Located in the Royal city of Hua Hin on the Gulf of Thailand, 185 kilometres south of Bangkok, it is nestled within seven acres of lush tropical gardens and represents tranquility at its best. 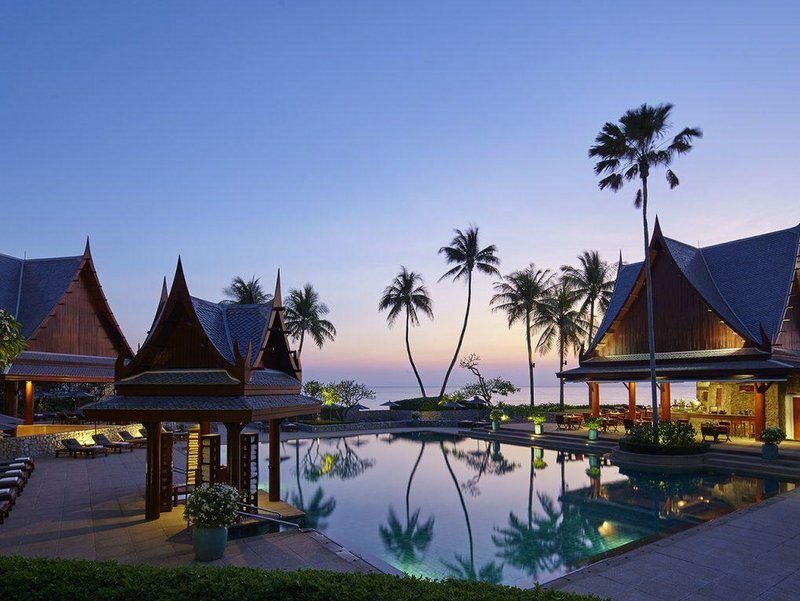 Chiva- Som’s luxurious accommodation comprises of 58 stylish rooms, Thai Pavilions offer traditional charm and Ocean View rooms and suites provide spectacular views of the Gulf of Thailand. In addition to the 70 treatment rooms, the resort facilities boasts a kinesis studio, gym, watsu pool, flotation pool, large outdoor swimming pool, bathing pavilion with kneipp bath, sauna, steam, jacuzzi, and indoor swimming pool. Focusing on greater well-being and vitality, Chiva-Som offers extensive physiotherapy, fitness, spa and holistic health facilities and combines ancient therapies of the East with Western diagnosis techniques to encompass the mind, body and spirit.